View More In Seafood Seasoning. Zatarain’s Crab and Shrimp Boil brings authentic New Orleans-Style flavor to your kitchen in a few easy steps! Featuring seven spices, including allspice, dill seed, cayenne pepper, bay leaves, mustard and coriander seed, this bold dry blend will deliver outstanding flavor to up to four pounds of crawfish and shrimp or up to one dozen crabs. Simply place seafood of your choice in the convenient boil-in bag, add to hot water, and in minutes, you can enjoy the flavor and soul of The Big Easy! Prep time: 5 minutes or less! The easiest way to bring the bold flavor of New Orleans to your table is to make sure Zatarain's is in your pantry! 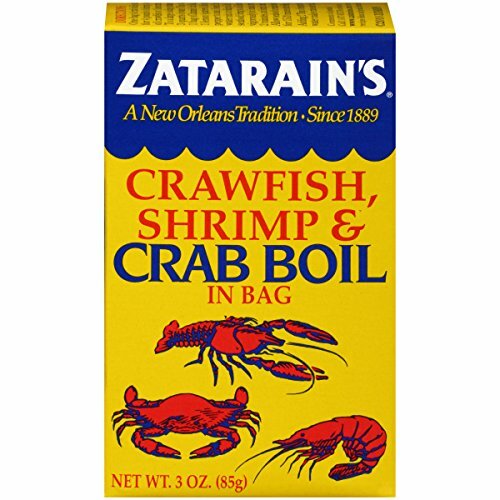 If you have any questions about this product by Zatarain's, contact us by completing and submitting the form below. If you are looking for a specif part number, please include it with your message. Rebecchi Zafferano Del Meneghino Italian Saffron Powder, 0.125 Gram - 50 Packs – 1 Case - Chefs Choice.